Tiger Electronics' LCD-based games shouldn't have been as successful as they were against the Game Boy. But the company was anything but a failure. Why? The amount that a mint-condition Kiss Phono record player sold for on eBay earlier this year. The product, released in 1978, was one of the first produced by Tiger Electronics, which was founded in Vernon Hills, Illinois that year. Tiger started with record players, but quickly moved to cheaply produced LCD-based electronics that worked vaguely like video games, but had far more limited functionality. The Kiss-branded record player highlights the company's biggest strong spot: It was always really good at licensing products. Fun fact: In the early 1980s, Universal Pictures believed that Donkey Kong, the quarter-muncher that first made Nintendo famous, was an egregious violation of its copyright on the movie King Kong. This ultimately proved a huge problem for Universal, because it bet on the wrong horse and suddenly had to defend its copyright in the video game sphere. A few months later, after Tiger had already started working on the game (meant to be a cheap clone of Donkey Kong), the film studio was made aware of the existence of Nintendo's much-more-popular game—and threatened lawsuits against everyone involved, including the fledgling video game company's home-console partner Coleco, if they didn't pay the movie studio royalties. Then, Universal went to Nintendo, demanding they stop selling and marketing the product. Nintendo's lawyer, Howard Lincoln, wasn't so quick to budge—particularly because it seemed that Universal had a tenuous grip on the King Kong license in the first place. 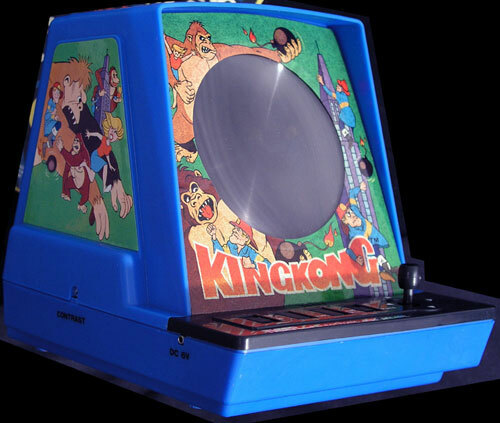 Universal ultimately sued over King Kong, but also reworked its license with Tiger to be non-exclusive, and pushed the firm to modify its game to work less like Donkey Kong—and Tiger, realizing what it had, decided to make clones of the game for a number of mediums, including in a table-top form, a number of LCD variations, and even a version for the Atari 2600. The Atari game, as the Internet Archive notes, essentially existed to prove that Nintendo was hurting Universal. But that ultimately failed to hold water in court after Lincoln and a lawyer brought on for the case, John Kirby, showed that Universal had previously proved in court that original creator RKO had let the license fall in the public domain, basically implying, as The Gaming Historian does, that Universal sued Nintendo knowing it had no claim over the King Kong license. Nintendo possibly could have fatally wounded Tiger Electronics at that point, but instead, it focused on its own trajectory. Both companies benefited hugely from that decision. 1. 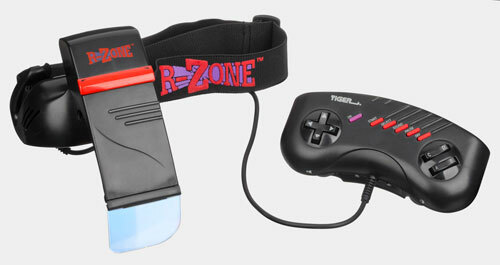 The R-Zone: Perhaps the most infamous product ever associated with Tiger, the company in 1995 came up with the unusual idea of a head-mounted game console. The games each contained tiny LCD screens, which were reflected into the user's eye. (They later offered the R-Zone in a Game Gear-style console casing.) 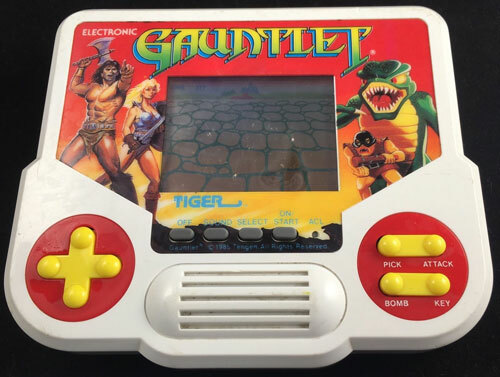 Ultimately, though, the games were glorified versions of Tiger's existing LCD games. In some ways, it was akin to Nintendo's Virtual Boy, but much, much worse—which is saying a lot, because the Virtual Boy is widely considered Nintendo's worst console. 2. Tiger Learning Computer: Perhaps one of the latest versions of the Apple II ever released, the company scored a deal with Apple to become a licensee in 1995, during a period in which Apple was open to working with clone manufacturers of the Mac. Tiger came up with a laptop-like variation of the Apple IIe that looked like a Powerbook, but featured six slots for cartridges in place of a screen. (You hooked it up to your TV to use, see.) Unfortunately for Tiger, Steve Jobs returned to Apple just before they ramped up production, and killed all clone projects—making sure the computer would remain rare. 3. 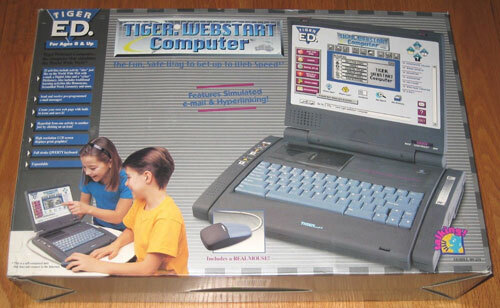 Tiger.Webstart Computer: Never one to give up on a good idea, Tiger introduced a simulated computer in 1998, but this time updated it for the web era. 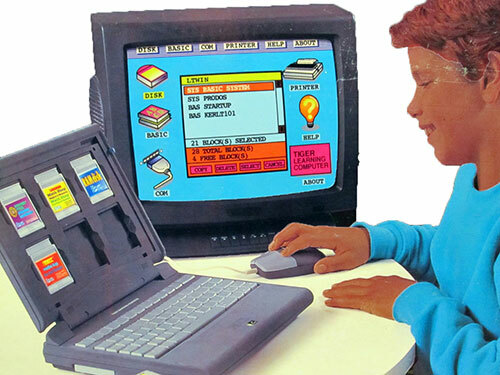 The device, which the box says includes "simulated e-mail & hyperlinking," was meant to be training wheels for actually getting on the internet. (On the plus side, the mouse was real.) Don't let the large-looking screen fool you—nearly all of it is just a printed graphic around the much-tinier screen. 5. 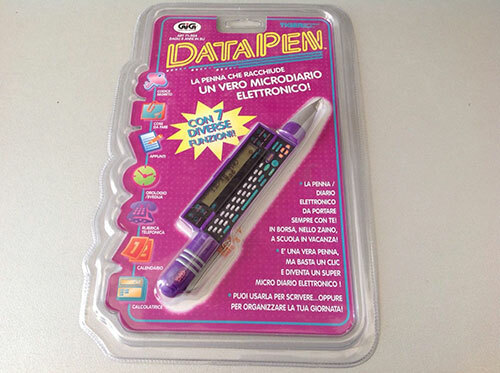 DataPen: Much in the spirit of the Super Data Blaster, Tiger also came up with a pen that includes a built-in electronic organizer, just in case you ever wanted to combine those things. The keys were so small you had to use the pen cap to type. 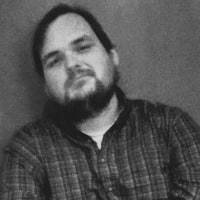 "So, the only thing the Game.com was any good at was puzzle games, which have little or no motion, because this thing can't even play Joust properly." — Classic Game Room host Mark Bussler, in a review of the Game.com console, perhaps one of the worst consoles of all time, due pretty much to the low quality of its screen. Tiger's attempt to directly compete with Nintendo, marketed with a guy comparable in height with Peter Dinklage insulting people for daring to ask questions about the system, was an interesting idea for a system, and it did some things that would later be picked up by Nintendo—including the use of a stylus and the ability to connect to the internet at a time when literally no other video game manufacturer was even trying that. But again, the screen was horrible, and while a smaller version of the system improved that situation, the Game.com Pocket Pro was still terrible, as Bussler helpfully pointed out in a separate clip. But what about those LCD games? Tiger had a hugely diverse array of toys when Hasbro acquired them in 1998 for $335 million in cash (!). But the thing that a lot of people remember them for are their LCD games. Why is that? The games, with their minimal design and inability to play more than a single game, are bound to get tiring after a few minutes for a seasoned gamer. Just watch this clip of a person playing the Tiger version of Aladdin—which should further deepen the debate over which video game version of the film was the best. It makes a tinny sound at best, it has simplistic (if quirky) controls, and it clearly was based on old technology even then. At first, the technology had some value, as it predated the Game Boy to market, an advantage highlighted by this 1989 commercial featuring Jordan vs. Bird. While Nintendo had its Game & Watch devices during this era, Tiger was arguably expanding the definition of the kinds of games these devices could play. Sure, Tiger's Street Fighter II couldn't compare to what the Super NES could do, but it was nonetheless cheaper and could be more easily smuggled into a school. The key thing, however, might have been Tiger's ability to license just about any major property. Just look at this list of LCD games made by Tiger Electronics. While it didn't have any Nintendo-owned properties, it had most of the Saturday morning cartoons and other video game properties covered. Heck, they had games I wasn't even aware existed until just now, like Doug. For years, Nintendo has been credited with spearheading an approach called the Blue Ocean Strategy. The idea, based on a book from French professors W. Chan Kim and Renée Mauborgne, emphasizes that you don't battle competitors, but you find waters that are unchartered and you create your own path forward. I wonder if, like the King Kong license, Tiger Electronics got to it first. At the time when it first came onto the scene, a lot of large toy manufacturers were dipping their toes in the water of electronic toys, but Tiger was one of the few to put their entire feet in. That led to fun toys like the Talkboy Tape Recorder and Skip It. As far as LCD games go, when Nintendo gave them some competition, it doubled down on its lower price and impressive licensing game. But eventually, to stay in the game, they needed a console of their own. Problem is, they couldn't come up with anything better than the Game.com. Good thing the Furby came along.